We are so pleased to have Faraley joining our clinic team in January 2018! 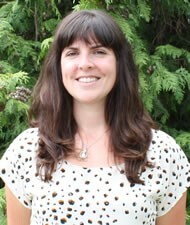 Born and raised in Victoria, Faraley Vander Schilden graduated from the University of Victoria with a Bachelor’s Degree in Kinesiology in 2006, and then graduated Queen’s University in 2009 with a Master’s of Physical Therapy. During her time at UVIC, she was a varsity rower, winning three Canadian Championships, multiple golds at the Royal Canadian Henley, a place on the Canadian Junior National team in 2000, and 3rd place at the 2004 World U-23 Championships in Poland. After graduation, Faraley spent two seasons as the Lead Physiotherapist with the Oak Bay Castaway Wanderers Rugby Club. Faraley received her Diploma of Advanced Manual and Manipulative Therapy in 2014, as well as her certification in Chan Gunn Intramuscular Stimulation (CGIMS) in 2015. She believes in providing patients with an in-depth understanding as to the nature of their injury, as well as the treatment choices she makes. This helps to augment her predominantly manual therapy and IMS-based treatment approach. Faraley Vander Schilden is an experienced and Certified Gunn Intramuscular Stimulation (IMS) Practitioner. She treats patients at our downtown Cook Street Victoria Physiotherapy clinic located at 308-1175 Cook Street, Victoria, BC, V8V 4A1. Faraley is accepting new patients. To book an appointment with Faraley please call the downtown Cook Street Physiotherapy clinic at 250-381-9828.